Why isn’t signature appearing when supervisor approves an MS Word Doc? This article is meant to assist you with creating and completing casework in extendedReach. 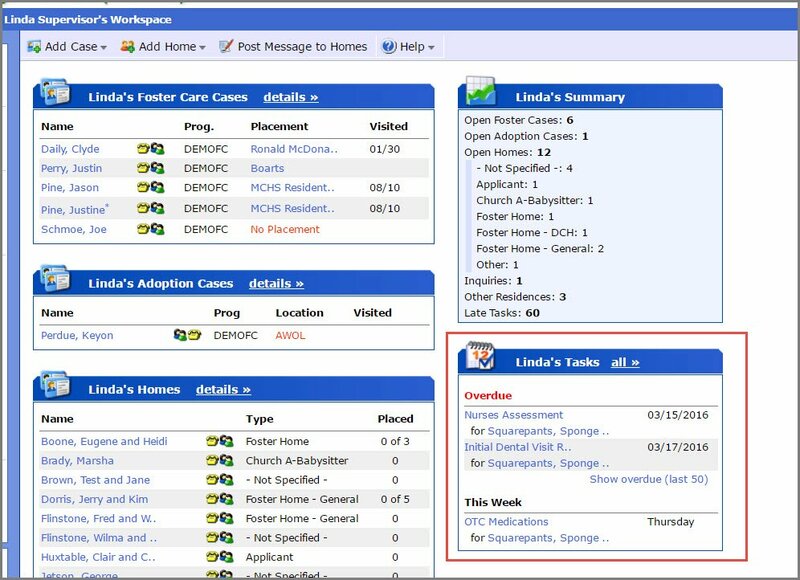 All casework in extendedReach is stored in either an “Activity” (social work contact or event) or a “Report” (a document that is created or collected). Each “Activity” or “Report” will have a status that starts as “Due” or “Draft”. The goal is to finish the casework, have it approved by supervisor (as necessary), and to move the status to “Complete”. This article will walk you through that process. 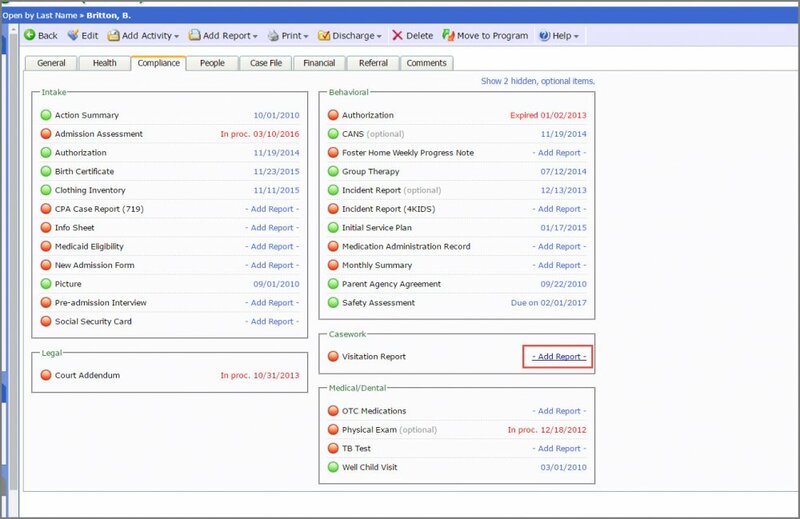 (Option 1) Choose the Activity or Report name from the “Add Activity” or “Add Report” menu on a “Case or Home”. (Option 2) Click an item in the “Compliance” tab. (Option 3) Click an item in the “Task List” on your Home Page. Step 2. Ensure the document is in edit mode. Step 4. Create the note, generate a file, or attach a file. If you write a note or attach a Word Document, click “Generate Narrative” or “Generate File” to use a prebuilt template. extendedReach may pre-fill the template with information for the selected case or home (including your signature). 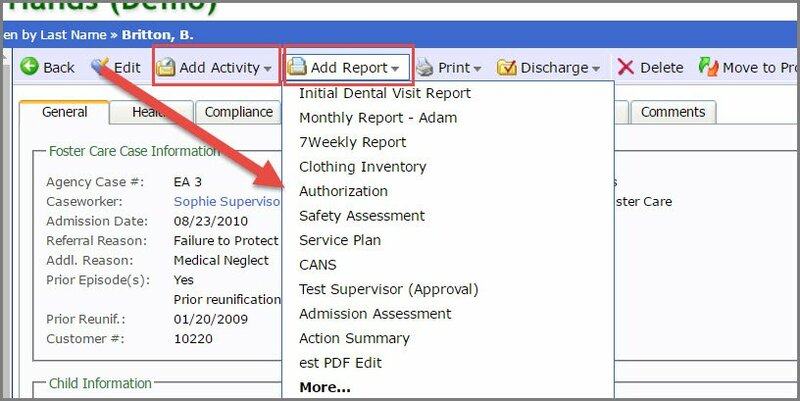 If a supervisor needs to approve the document, it is important that you leave the bottom portion of the Word Document in tact, so it can be auto-filled with the supervisor’s signature upon approval. Please see Editing Word Documents article, in Related Topics, for more details. Saves and keeps current status. Saves and changes status to “Draft” (keeps item on your task list and indicates you must still finish it). Saves and changes status to “Complete” (indicating you are done with your work). 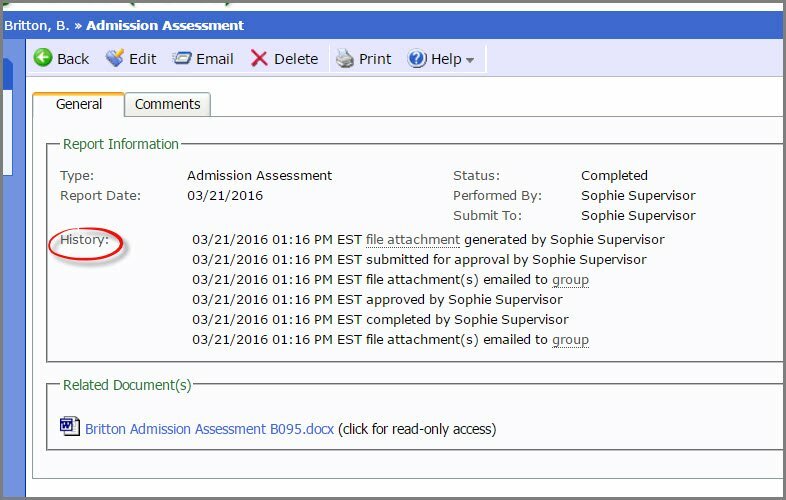 Saves and changes status to “Submitted” (a supervisor will receive notice that the document must be reviewed and approved). Saves and changes status to “Approved”. 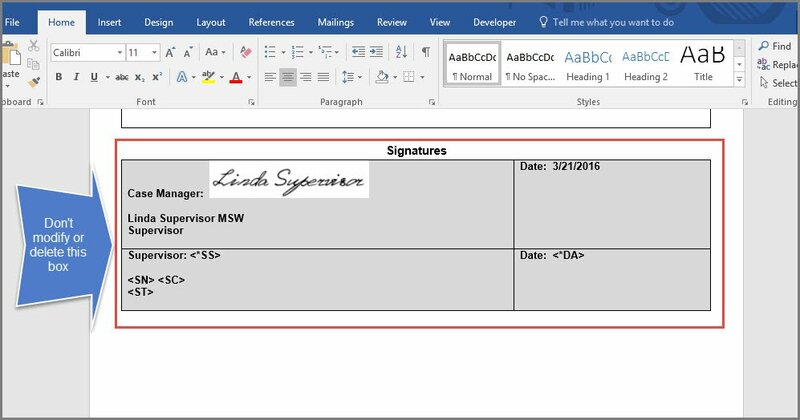 The supervisor’s signature, name, credentials, title, and date approved will be automatically added to the signature block for MS Word documents. Once approved, only those with supervisory/approval status can make further changes. Saves and changes status to “Rejected”. The document will be returned to the worker’s Task List to further edit the document and eventually re-submit to a Supervisor. Upon supervisory approval, the supervisor’s digital identity will auto-fill. As items are submitted, extendedReach will time stamp this history for documentation purposes.